Stormwater practices built in infill or redevelopment projects in urban areas with more than 75% site impervious cover. Applications should describe how the innovative BMP meets any of the relevant criteria above. Below you will find information about the winners of the Best Ultra-Urban BMP category of the 2015 BUBBAs. Civil Engineer: Terry Schuman P.E., Bay Engineering Inc.
Terrestrial Archeology: Suzanne L. Sanders, R. Christopher Goodwin & Associates, Inc.
With this project, the City of Annapolis transformed a dangerous eyesore into an attractive amenity through the application of effective urban BMPs. 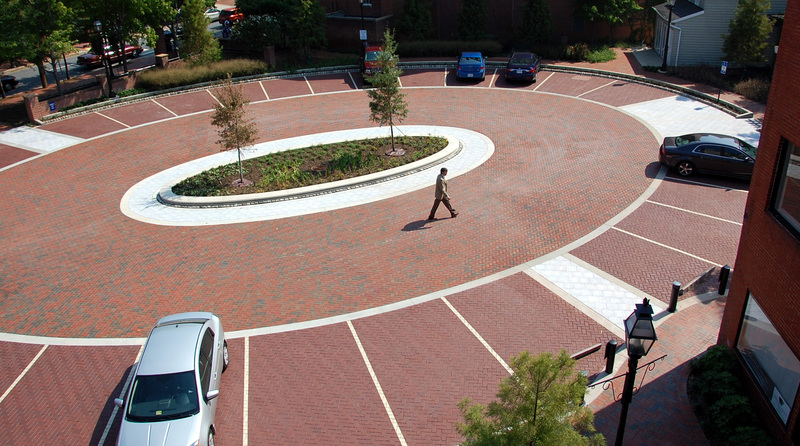 Permeable pavement and bioretention were used in combination to redevelop the Little Gotts Court Parking Facility into an appealing entrance for the City of Annapolis Visitor Center. This project successfully met all of the jury’s criteria for the Ultra-Urban category: it achieved a high runoff reduction rate for the site, with 10,000 square feet of permeable pavers and 6 rain gardens, combined the practices in series to improve function, created a beautiful neighborhood amenity that some have referred to as a “parking garden”, and it did all this while facing the urban challenges of working in a historic district (including coordinating with archaeological excavations to preserve artifacts found on the site). To learn more about this year’s winning projects, visit the project folder on our google drive here. Carla Ellern Landscape Architecture, Inc. 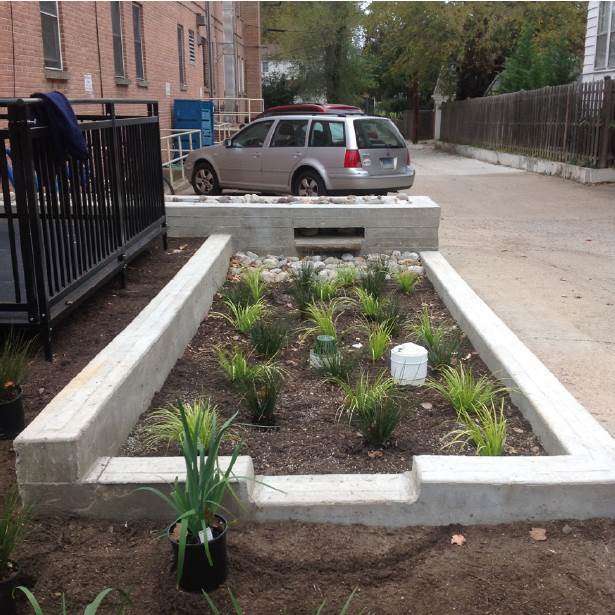 The stormwater retrofits at Tifereth Israel Congregation in Washington, DC incorporated an impressive combination of BMPs into a very small space. 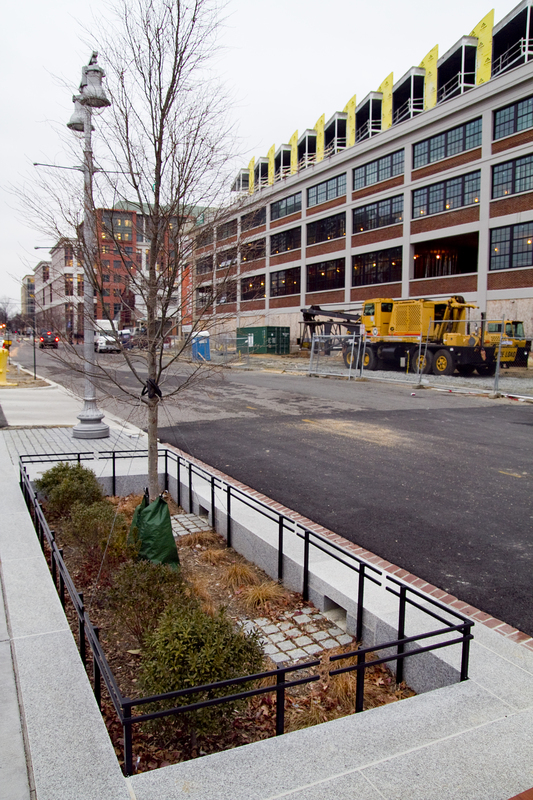 The retrofit includes an infiltration planter, permeable pavement, and two bioswales. Installation of these practices was combined with outreach efforts to inform engage the congregation and neighbors, seek their input on the project, and educate them about solutions to stormwater pollution. 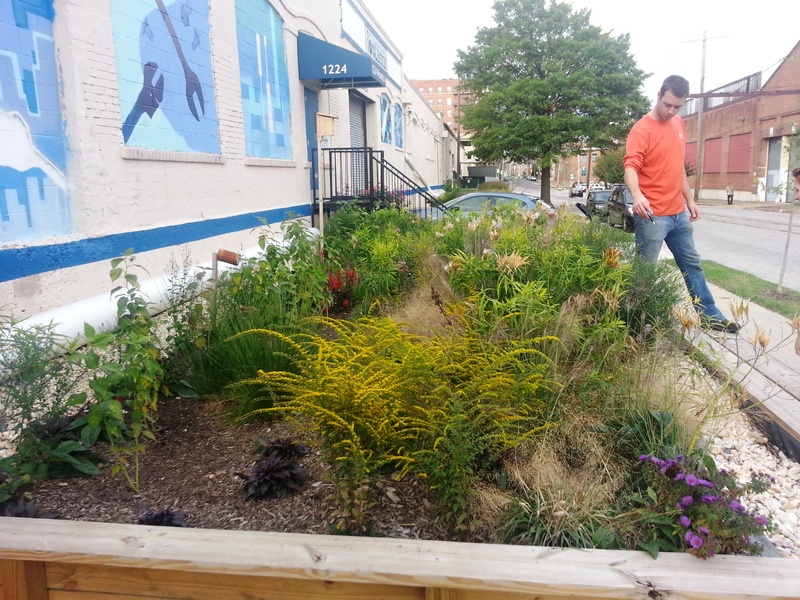 The Baltimore Community ToolBank turned a difficult-to-use urban space into a stormwater BMP with an innovative stormwater planter/bioretention area. While the green space in front of the building appeared to be a perfect location for a bioretention area to treat roof runoff, buried railroad tracks and a lack of underdrain connection options required significant design modifications. The result was a half-in-ground, half-above ground stormwater planter with a “simple, scalable” design that can be replicated at other space-constrained sites. 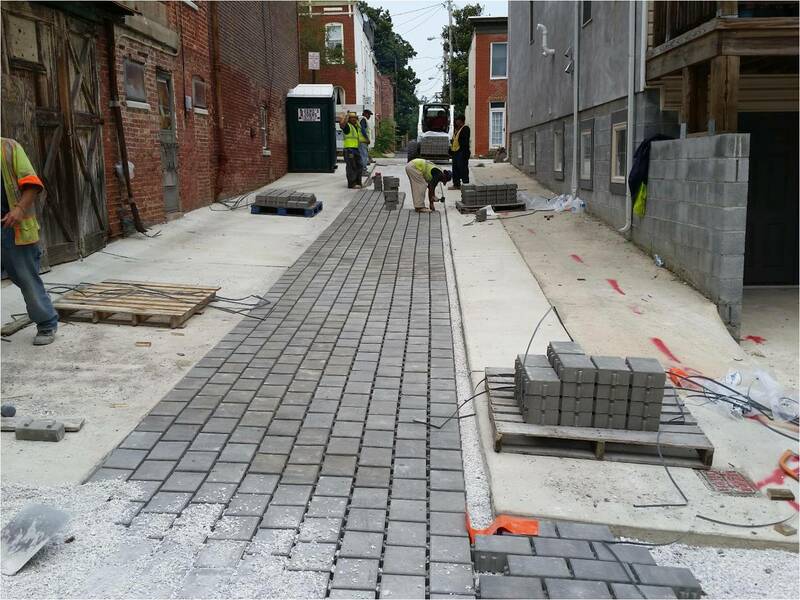 The Baltimore Blue Alleys and Neighborhoods project involved intensively retrofitting several streets and alleys in ultra-urbanized areas of Baltimore City to reduce and treat stormwater runoff through the use of street bumpouts (bioretention) and permeable pavement alleyways. The existing sites consist of 3 alleys and 4 street intersections in the Butchers Hill and Patterson Park Neighborhoods of Baltimore. The objectives of this project, which was funded by the National Fish and Wildlife Foundation, were to demonstrate the feasibility and effectiveness of integrating innovative, decentralized stormwater projects into the most densely developed areas of the City of Baltimore to treat impervious surfaces, reduce stormwater runoff volume, and improve the quality of life for residents in these urban areas through greening, neighborhood beautification, and a reduction in pollutants.